It's an antivirus suite with a creepy robot mascot, but it's still a great tool. Slovakia-based ESET is a security company that wants to do it all. Its Internet Security suite aims to monitor and destroy malware through its entire life cycle (before and after execution), the company has AV suites for Windows, Mac, and Linux, and it offers protection for smart home devices. ESET has some pretty big aims. 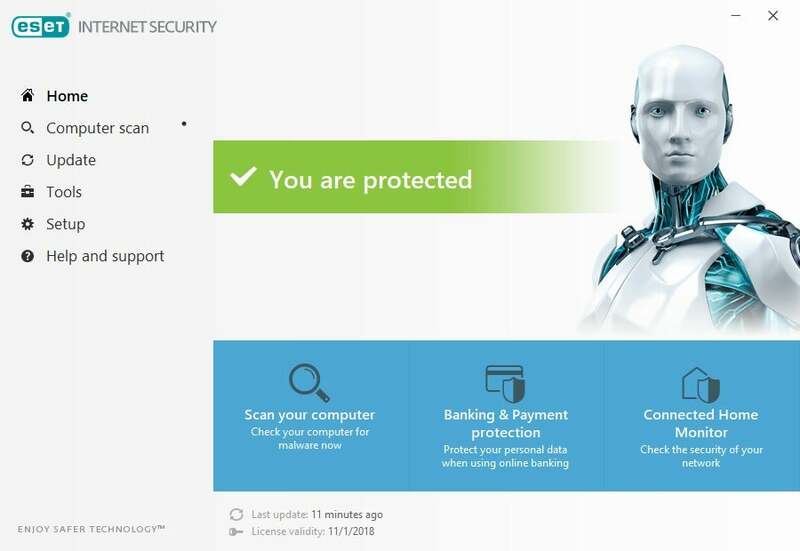 Here’s how it all shakes out in the 2018 version of ESET Internet Security. 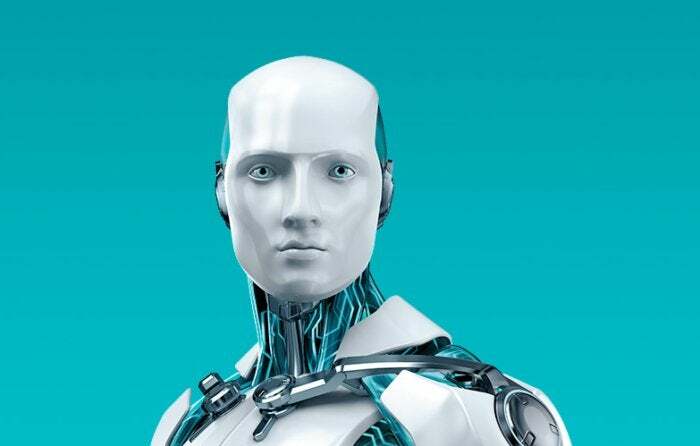 When you first start up ESET you’re presented with a basic information page that includes the image of a mildly creepy android and the message that you’re protected. 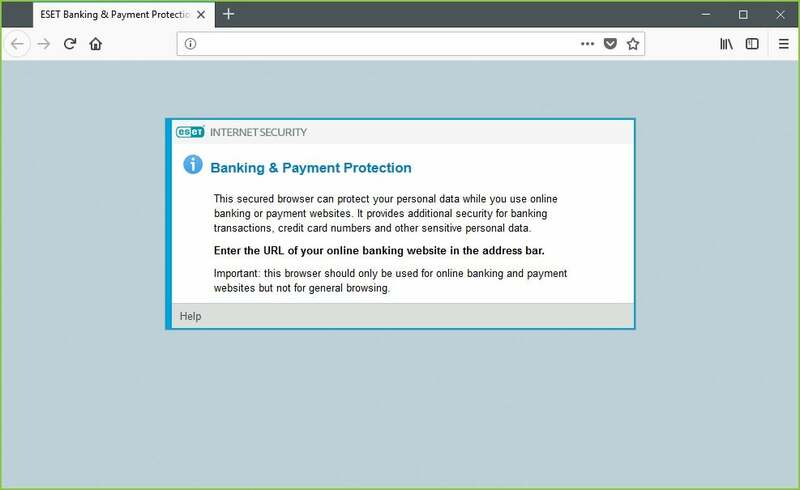 From this dashboard you can start a quick scan, use ESET’s sandboxed browser for banking and online shopping protection, or check out the security status of all the devices on your home network. On the left rail there are a number of different options including: Computer scan, Update, Tools, Setup, and Help and support. The Computer scan section lets you start a basic scan, or choose to customize a deeper or more specialized scan. There’s also a helpful drag-and-drop area for single files you want to scan. When you’re running a scan, this is where you’ll also see its current status. The Update section is similarly straightforward, while the Tools menu includes links to the connected home monitor, banking and payment protection, as well as an anti-theft feature if you want to track your device. The Connected Home Monitor is particularly interesting to look at. It shows you all the devices on your network from tablets, routers, and smart speakers to PCs and smartphones. At first, some devices will show up with their actual names while others will not. Any problems on your network are highlighted by exclamation marks with various colors—for instance, blue tells you there’s an issue but it’s probably no big deal; yellow tells you there’s an issue you should probably let ESET fix. 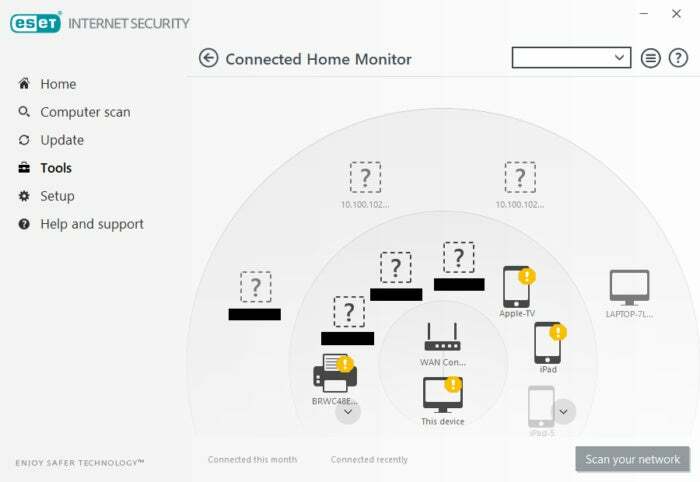 Besides scanning for weaknesses, the connected home monitor is a nice section to just see all the various device that are connected to your Wi-Fi. 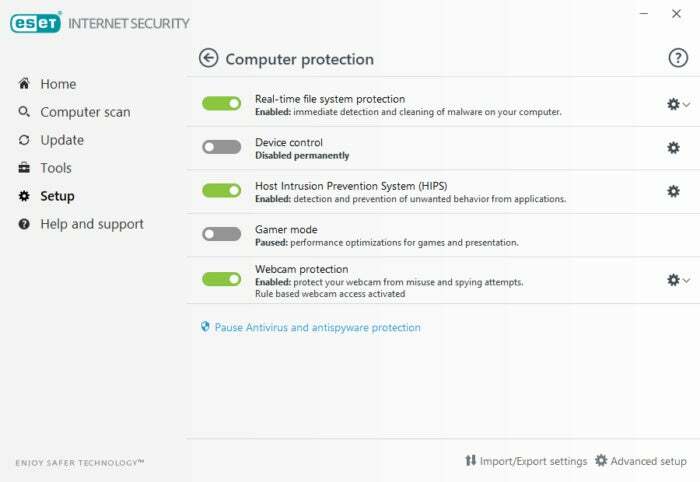 Other antivirus suites, such as Avast, offer similar network monitoring features. Moving on to setup, here you can fiddle with ESET’s controls to your heart’s content. There are options for turning on and off the service’s gamer mode, webcam protection, email and spam monitoring, botnet protection, and other security tools. On top of the interface features, ESET also has a pop-up that appears each time you insert a USB storage device into your PC. The pop-up doesn’t prevent you from accessing the USB drive. Instead, it asks if you want to scan the drive now or later—there’s also an option to dive into ESET’s settings to turn off this feature. You can also set it to carry out the action, such as scan now, every time you insert a USB drive into your PC—probably a good idea for most users. Overall, ESET’s interface is easy to understand, manage, and navigate, making it a great choice for someone who doesn’t want a complicated power-user interface. Although most of its features happen in the background, ESET, the company, has a lot to say about what its products can do. Like many other services these days, ESET offers an anti-ransomware feature to block one of the more pernicious threats out there. The security suite regularly scans for ransomware-like behavior such as mass encryption of files. If it detects anything, it will alert the user and ask whether they initiated this action. I asked the company if that means ESET would temporarily stop utilities like TrueCrypt. ESET says the suite won’t interfere with most mainstream encryption tools, but if you were using something less well-known it may see a temporary stoppage. 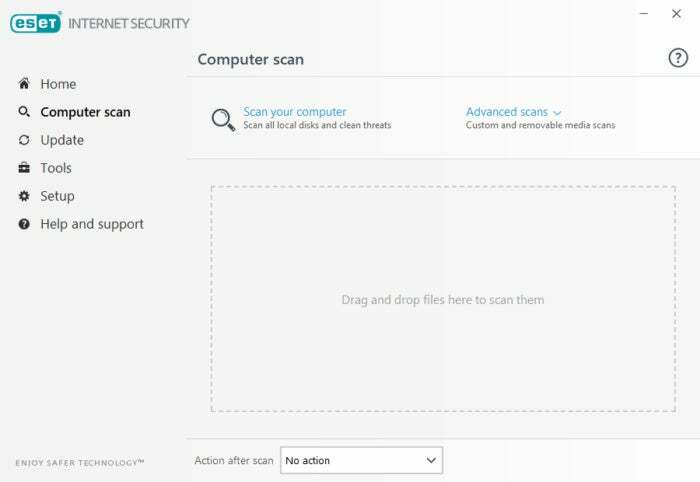 There’s also a network-attack protection feature to stop threats that try to spread through your home network, an “exploit blocker” that monitors apps that are commonly exploitable, an “advanced memory scanner” (in ESET Smart Security) to go after any malware hiding in RAM, and a UEFI scanner to guard against low-level malware. On top of that, ESET offers cloud-based protection analysis—a common feature in all modern antivirus suites and one that was central to the recent Kasperksy controversy. ESET’s is called LiveGrid, which the company says tries to take your privacy into account. By default, Office files aren’t sent to the cloud for analysis, for example, which is a nice balance between cloud security and user privacy. ESET’s banking and payment protection feature. Overall ESET provides a lot of protection, but what really matters is how it performs. ESET got high marks from AV-Test in its malware tests. In August 2017, it scored 100 percent in performance against zero-day malware attacks, web, and email threats based on nearly 200 samples. The antivirus suite came out with a 99.9 percent score on the much larger malware test with nearly 11,000 samples. ESETs results were a little different with AV-Comparatives. The “real-world protection” test, which takes 316 samples of malicious URLs, saw ESET score around 97 percent with no false positives. The larger malware test with more than 20,000 samples, meanwhile, gave ESET a score of 99.86 percent protection rate while connected to the internet, and a rate of 97.2 percent for offline malware detection. SE Labs also took a look at ESET Smart Security—the next tier up for Internet Security—and gave it a AAA rating, placing it second out of 10 behind Kaspersky Internet Security. SE Labs said ESET was extremely close to Kapsersky in performance, but lost out when instead of blocking all threats it just neutralized two instead. In our performance tests, ESET had mixed results. Running PCMark 8’s Work Conventional test after a full disk scan, ESET scored 2,466. That’s quite a bit lower than the standard score of 2,538 the PC usually gets after a clean install. In everyday situations the performance hit may not be all that noticeable, but you may experience minor hiccups during heavy work sessions based on our results. The Handbrake test, meanwhile, showed almost no impact. Typically, it takes our test rig about 1 hour, 15 minutes, and 30 seconds to transcode a 3.8GB video file using Handbrake’s Android tablet preset. With ESET running after a full disc scan, the time dropped by just 25 seconds to 1:15:05. ESET Internet Security is a good antivirus suit with a very high level of protection. The price is pretty standard for the industry at $60 for a single device, and $100 for five. But you can find slightly better deals such as AVG Ultimate, which protects all your personal devices for $100. ESET is also easy to use, and it’s looking towards the future where nearly every part of our home will in some way be controlled by a computer and require security monitoring. If your typical computer usage is resource intensive, however, that PCMark 8 score may give you pause.